| Tools & Resources | Recommended Reads | The Family Dinner: Ways to Connect with Your Kids One Meal at a Time. SuperKids Nutrition caught up with Laurie David, author of The Family Dinner: Ways to Connect with Your Kids One Meal at a Time. In her more-than-just-a-cookbook, The Family Dinner, Laurie David explains the key ingredient for a healthy family: dinner together at the table. By prioritizing daily mealtime together, you will have better family health and greater teen safety. 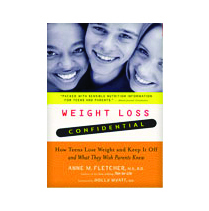 Her book provides tips on how to make family meals happen daily even with everyone’s busy schedules. 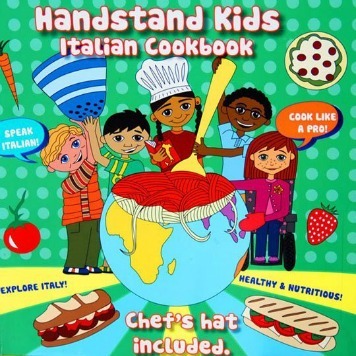 She includes great sidebars and color-coded boxes with engaging tips, recipes, tricks for going green, and games and discussion questions to employ at the dinner table. Check out the interview and great tips below from her must-have book, a SuperKids Nutrition favorite recommendation! What are your top ten tips for a successful family dinner together? It’s a Date! Set a regular time for family dinner. Everyone comes to the table at the same time. No late stragglers, and “I’m not hungry” isn’t an excuse. No phones. Period. If you bring one and glance at it, it becomes the property of the parents for as long as they decide to keep it. One meal is served, no substitutions. Aim for adult meals with kid-friendly ingredients. Everyone tries everything. Not clean your plate, but tasting is a must. No television, or any electronic devices. Really, no screens. When the Oscars are on, it’s a special treat while eating- not an everyday occurrence. Tap water only, filtered if needed. Use a glass pitcher perhaps with some lemon or fruit. Friends and family welcome. The more the merrier mentality equals a happier mood, and guests can make it an event- with better manners. You’re excused. No one leaves the table early. The meal must be finished before leaving. Everyone helps clean up. No exceptions. Rotate the duties so nobody gets stuck with the same job all the time. Can you provide our readers with some helpful take-home tips and ideas from you and your crew? Role Modeling: Make sure parents provide good modeling behaviors in portion sizes and with trying new foods. Tip: Leave final build-it-yourself details to each person at the table to increase participation and involvement in the meal. Tacos or pasta bar style meals are a fun way to let everyone create their own masterpiece. Game: Let’s Play! Name a superpower you would like to have and why. Assign a superpower to everyone at the table. Fun! Family dinner should be fun. Don’t use it as an inquisition or to recount shortcomings. Keep it light. What are your favorite recipes from your book? In 18 minutes, you can make black bean soup, served with a crunchy salad. All the recipes with kale are also very tasty. Try the dish called Quinoa and Sweet Potatoes. It’s easy to make and the whole family will devour it. How do you make eating at home exciting? How would you sum up the definition of dinner time? Dinnertime should be educational, entertaining, and interesting with great family conversations. Come to the table prepared with a topic or theme to discuss. It can include a question, a little verbal game, or simply discuss challenges you faced during the day. Kids will learn valuable lessons, develop debating skills, and understand other’s perspectives on life. 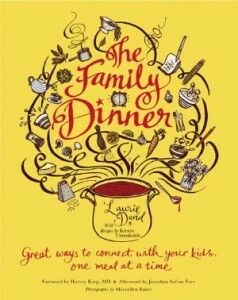 For more table talk ideas, check out Laurie David’s book, The Family Dinner: Ways to Connect with Your Kids One Meal at a Time. Brooke is a Registered Dietitian Nutritionist (RDN) and Master of Public Health, and a lifestyle health and wellness advisor. The Southern California native loves backpacking, skiing, yoga, kickboxing, her VitaMix, and her sidekick: a Kooikerhondje spaniel named Luca.